God has given us a household with a heritage of 154 years of service to the community of Berea, OH for which we are to care. Our first instinct might be to look to the past for inspiration and to conserve and maintain the best of what we remember from past times. And while there is a lot of value in looking to the past for inspiration, we believe in a God who is “making all things new” (Rev. 21:5). As a church, we are called to have a forward moving trajectory rather than a static glance to the past. The Church as a movement is a response to Jesus’ call to follow him and help extend his reign on earth. We are not a museum or a social club that happens to support worthy charitable efforts. We are, rather a community of people committed to proclaiming God’s love in worship, community, and in our service. At St. Thomas, we are a people on the move. In my time at St Thomas, I have been impressed and heartened by our commitment to finding new and innovative ways to preach the Gospel in the 21st century. I look forward to continuing my journey alongside you as we seek to be faithful to the mission God has given us. Indeed, I look forward to renewing my commitment with you this Fall during our stewardship campaign. Stewardship is a core value of the Christian faith. As disciples of Jesus Christ we are called to commit ourselves to the mission of his Church. We are called to commit our hearts to this effort, sharing the love God has given us with others; mean words of encouragement rooted in the hope we have Christians to our friends, family, and neighbors. It can also mean, inviting those closest to us to experience the love of God’s beloved community here at St. Thomas. We are also called to offer our talents, education, and skills in service of Jesus’ mission of transforming the world. All of us, whether we realize it or not, is uniquely gifted in some way and called to offer that something to the mission of Christ’s Church. We are also called to offer our material support, including monetary contributions, to the mission of the Church. As someone who grew up in a family where money was seldom discussed, I can understand how this aspect of stewardship can make some very uncomfortable. The inconvenient fact, however, is that it costs money to further our mission and care for the legacy that we have been entrusted. As Psalm 127 reminds us, we are a household and, as in any family household, we must work together for our mutual support. We have a lovely church building and physical plant that needs to be maintained and occasionally repaired in order to serve the needs of our mission. We have several paid staff, aside from myself, that help in sustaining and the building-up of our parish church. We have countless supplies and other expenses that are part of the day-to-day running of the church. The leadership of the St. Thomas has been fiscally disciplined in our use of resources and are attempting to build a vision that is sustainable into the future. However, we all need to work together in this effort. As members of St Thomas, God has given us responsibility to care for this church community, including its material support. God doesn’t ask us to give us more than we are able to give but God does ask us to examine ourselves and the ways we have supported the mission of church. He asks to be as generous as we can be in our given life situation. As we journey together this Fall, I ask you to examine the ways in which you have committed yourself to Jesus’ mission this past year and the ways in which you might be feeling called to contribute over the next year. I will be journeying alongside you in all of this and as your pastor, I welcome any opportunity to talk or pray with you during this stewardship season. from our ministry. We will also have displays set up before and after each of our weekly services representing the whole breadth of ministry here at St. Thomas. It will be an opportunity for all of us recommit ourselves to the ministries which we already participate and perhaps learn about a new ministry. You will also receive a pledge card, which will help you plan your own contribution and will help us plan for our 2019 budget. 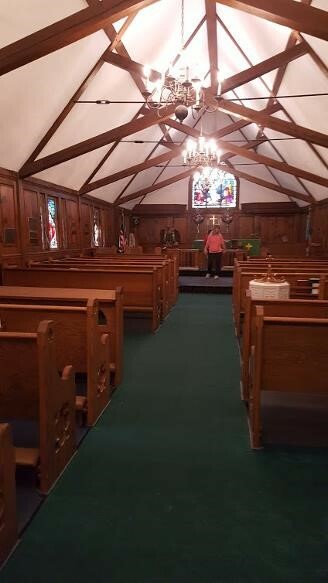 The pledge cared will also have room for you to express other ways, aside from material support, you plan to help support our mission at St. Thomas Episcopal Church. As we seek to recommit ourselves to our lives together at St. Thomas, my prayer for us is that our hearts be open wide to the power of generosity in your lives. And my prayer is that together, we can help God build the church God needs us to be. Our Stewardship Campaign for 2019 will kick-off with distribution of pledge packets on Sunday, October 7, and wrap-up on Sunday, November 4. 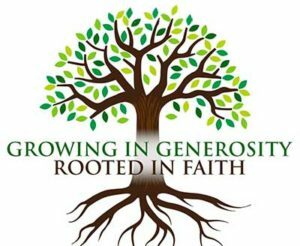 Our theme for this year’s campaign is “Growing in Generosity, Rooted in Faith”. Please pray for a successful campaign. Thank you. I am not a cradle Episcopalian; in fact, I am not a cradle anything. I was 25 years old when I walked into my first Episcopal church and I knew immediately that I had found my home. In 1991 I moved to Cleveland and bounced between All Saints and St. Thomas for several years, then fate happened one Sunday morning. I was here at St. Thomas and someone came up to me after service, took my arm and literally drug me to coffee hour. I was hooked! Every time I walk through the doors here I feel God’s presence and his love. I feel Him! I come here to find comfort and courage to face the world outside. Over the years, challenges have come and gone. Some hurtful things have happened that has made me wonder why I even come to church and yet I keep walking through those doors because I know what is here. We are all different in many ways and this is what makes us a unique church / Christian community. We are not going to agree with everyone and everything. We need to be kind, communicate, and support one another. What we learn here, what we practice here and what we do here we will take with us everywhere. I know we all have our own homes and yards to take care of, families to look after, work stresses and the list goes on, but I also know that this is our Christian home and we are Brothers and Sisters in Christ. We have work to do. God has a plan for each of us. You may be sitting there thinking …I’ve already done my part, or I can’t do that anymore. Some of us have been doing this “church thing” for so long maybe, just maybe, we have allowed ourselves to become stale, machine-like and have lost sight of our purpose for our church home. The true reason we are here. Find someone and encourage them to take on the ministry or task that you so dearly love(d). Guide them, teach them. We have each other to lean on. Our community leans on us as well. 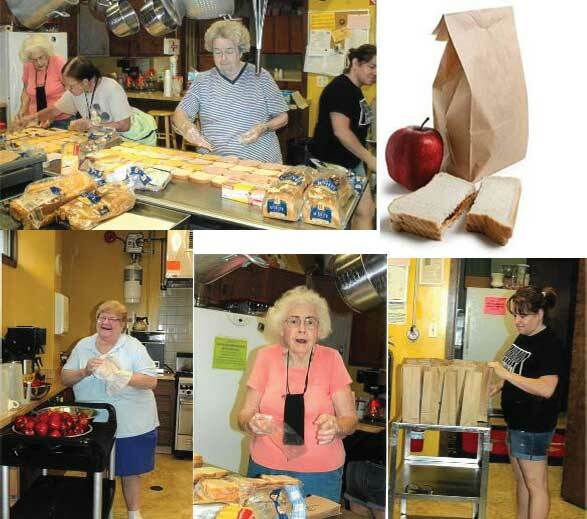 Our STAR Program prepares a monthly lunch for an average of 145 lonely senior citizens that need companionship. Our Veterans’ Luncheon has grown to an average of 70 – 80 forgotten Beterans. Men and women that have fought for “us”. 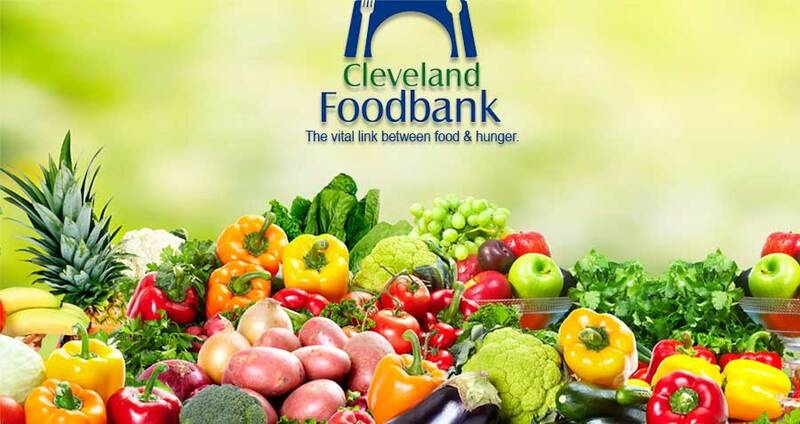 The Food Distribution Program distributes tons of food every month to individuals and families in need. The Summer Lunch Program prepared 450 lunches for children of our community so that they did not go hungry. At Christmas time, we filled 177 duffle bags with warm blankets, hats, gloves and personal items. Our Outreach Programs are numerous and not only need helping hands, but also financial support. We have events different times of the year that help. Our Medieval Dinner, The Devonshire Victorian Tea, the Clam Bake, to name a few. By bringing family and friends to these events, not only are we coming together for fellowship and fun, but we are supporting the church and its many needs. One of the things that my mom always said to me…”Anita Louise you need to dig deep within yourself and you will find the strength you need”. Dig Deep! As a youth, I always thought that digging deep meant digging deep, finding the strength and relying on myself to face whatever was happening at the time. 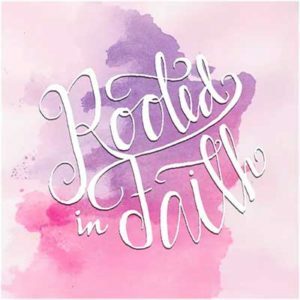 As an adult, though, I have found digging deep means finding God and trusting that he will lift me up to accomplish my challenge. I feel very blessed that each of you are a part of my life. Just look what I found right here … the most wonderful husband any girl could ask for. God did that and he will continue doing things through each of us. 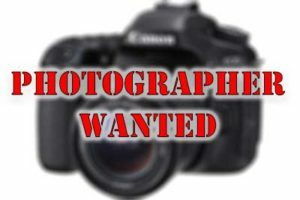 Would you be willing to take some pictures at church events so they can be posted on our bulletin board to show all the great things that are happening at St. Thomas? 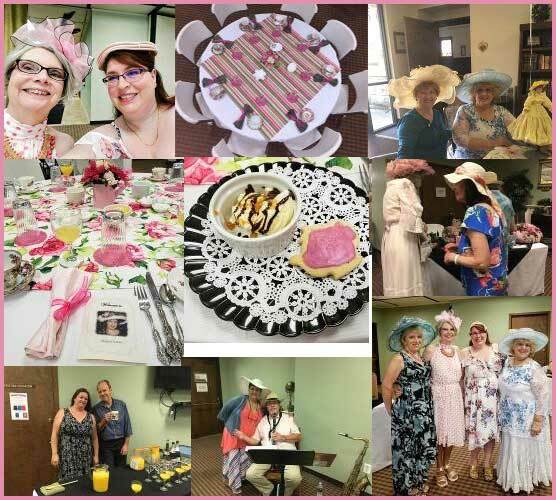 We would love to have photos posted from events like the Vets’ Meet & Greet, All-Church potluck dinners, picnics, events like the Victorian Tea, the Medieval Feast, STAR, the upcoming clambake, Trunk-or-Treat, and many other events. If this is a special talent you have, please contact Clint Anderson at ahs64clint@gmail.com to let us know of your willingness to help make the bulletin board a great picture of what goes on at St.Thomas! 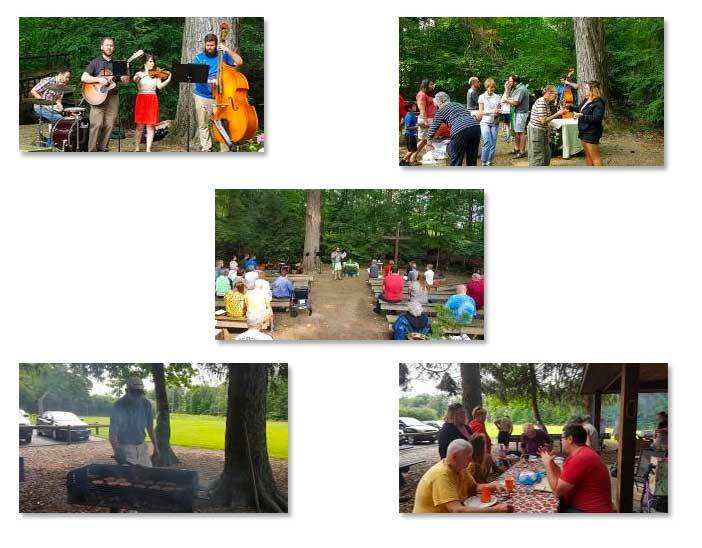 The weather was beautiful, the food was delicious and the worship service was well-attended at this year’s parish picnic on August 19. Many thanks to all who came to worship and enjoy fellowship outdoors. We will have a contest for the best decorated trunk! The St. Thomas ECW will once again be participating in the Mission and Meal Event at the Berea UMC on Saturday, November 17 from 12:00 pm until 8:00 pm. This event was a major fundraising endeavor for the ECW last year and takes the place of the cookie exchange previously held in December. We are asking parish members for donations of crafts or bakery to sell at this year’s event, along with volunteers to work in shifts selling items at our tables, and help with set-up and clean up. Please contact Etta Scheu at 216-433-0221 for additional information. Sign-up sheets are on the office window. We are always looking for new faces to join the bread, altar and flower guild teams. Would you like to bake the Communion bread, set the Altar before services, or put together the beautiful flower arrangements at services? No training is necessary, just a smile and a willing heart! If you would like to serve, please speak with a guild head: Sonia Miller – Flowers, Julie Kalbrunner – Altar or Peggy Zambounis – Bread. Or maybe you would like to become more involved during the Worship service. Liturgical ministers are needed to read the Lesson, Psalm, Epistle or Prayers of the People. Ushers are also needed at our 8:00 am and 10:30 am services. Call the church office for more information. On Wednesday, September 5 we will kick-off our 13th season of STAR! 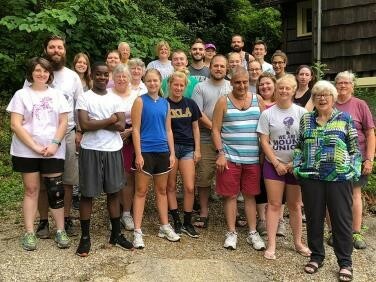 It is through the generosity of grant funds received from the Episcopal Diocese of Ohio that we are able to provide this wonderful program. Unfortunately, this year, the Diocese received more grant requests than in previous years. Due to this increase in requests, our grant for this season was less than we had anticipated. With the decline in our operating budget, we unfortunately had the difficult task of making cuts to our programs and menu options. We hope that even with these cuts, our patrons will still enjoy the concerts and lunches provided this season! Volunteers to help in the kitchen are always welcome! Please contact the church office or Julie Kalbrunner to help out during a concert and lunch. With the holidays approaching, you can do all your shopping quickly and easily without wasting time or gas! We are busily preparing for our 7th Annual Soup Supper which will be on Saturday, October 20, from 5:00 till 7:00pm at St. Hubert’s Episcopal Church, 8870 Baldwin Road, Kirtland Hills, Ohio. While this may sound like it is in a far-away place, St. Hubert’s is actually easily accessible from this area. Take I-71 North toward Cleveland, when I-71 becomes I-90 East, follow this to OH-615/Center St (exit 195). Exit and turn right onto Center St/OH615. Turn left onto Chillicothe Rd. Take the first right onto Baldwin Rd. You may think that St. Hubert’s is a tiny country church, but this is not the case. 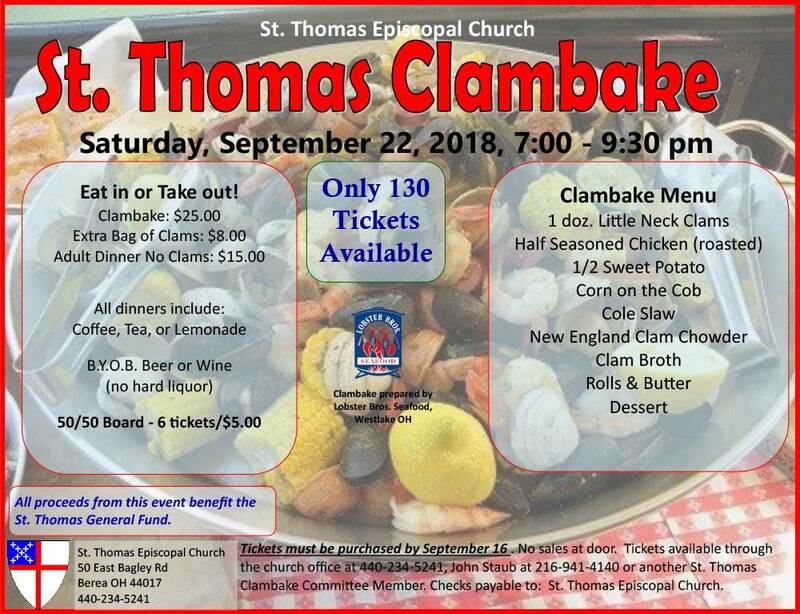 The parish is 150 years old, and has recently been updated by enlarging the church proper, and building a gorgeous parish hall (the River Room, which follows along a meandering tributary of the East Grand River), where our soup supper will be staged. 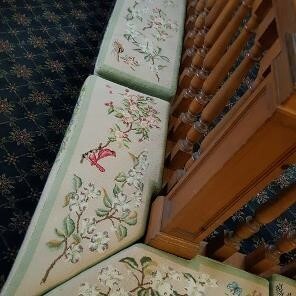 Please see the attached photos of the inside of the church and the lovely needlepoint cushions surrounding the altar. It will be well worth your time to visit this very impressive church. As you know, our fund-raising projects raise money to support the Episcopal churches in El Salvador, which is a Los Amigos program dating back 25 years. Tickets for the soup supper are $12 for adults, $6 for children, or $30 per family. Tickets are available after church from Ruth Ihde or Charlotte Rodriguez. All are welcome to attend the coming Los Amigos Episcopales monthly meetings at St. Matthew’s, Brecksville on Friday September 14 and October 12 at 6:30pm. Thank you to all the volunteers that came out and helped pack and distribute lunches to hungry children in the Berea area over the summer months. This program is a joint co-ordination of many local Berea churches. 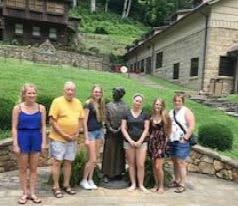 Many thanks to Laura Gaba for heading up St. Thomas’ week, July 25 – 29. To raise funds for their mission trip, help the Lotts Creek Community School and support the school’s scholarship program, the St. Thomas youth that participate in the Lotts Creek Mission Trip are selling gift cards to HoneyBaked Ham. The youth group earns 20% for every dollar amount sold. Available in any denomination, HoneyBaked gift cards allow everyone on your shopping list to choose and enjoy something delicious. Cards can be used for anything at the HoneyBaked store; ham, turkey, side dishes or dessert! With no expiration date, they make the perfect gift! Please see Katrina Scheu, Alyse Hancock-Phillips, Emme or Ella Winfield to place your order, or call the church office. Make checks payable to St. Thomas. The fundraiser will run through December 31, 2018; with orders placed so cards are received before Thanksgiving and again before Christmas. If you have any questions, please contact parish administrator Ginny Kubiak, 440-234-5241. *Please note this fundraiser is not related to our Shop with Scrip gift card program. It is a separate fundraiser. 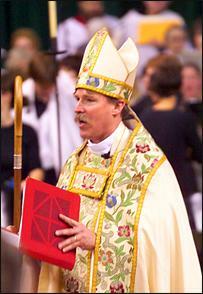 On Sunday, September 9 at the 10:30 am Worship service, we welcome Bishop Hollingsworth to St. Thomas. Please join us to celebrate the Confirmation of the following persons into our parish family. 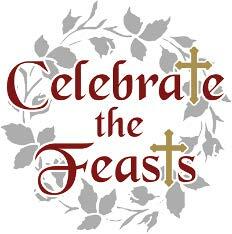 After the service, we will have a potluck luncheon in Harkess Hall to welcome the Bishop. The ECW will provide a sheet cake, but welcome other desserts. The main dish, fried and roasted chicken will be provided, please bring a side dish, salad or dessert to share. A sign-up sheet is on the office window, please let us know if you will be attending, so we know how much to order. Note: The only worship service the weekend of September 8 & 9 will be the Sunday 10:30 am Rite II Holy Eucharist. There is NO Contemporary Eucharist on Saturday or Rite I Holy Eucharist on Sunday. We have been a very busy group, especially in working on our Veterans’ Meet and Greet lunch project. On September 28 we will be serving pulled pork and pulled chicken on buns, with coleslaw, dessert and beverages. Our program will be Judy Mack, Gateway Health-Medicare and Medicaid advantages, on vets’ benefits. If you are a vet, a spouse or widow of a vet, please join this group for a great experience. We are very thankful for the volunteers which have made this growing project so successful. If you would like to help, please call Ruth Ihde at 440-821-9259. The next meeting of the Outreach Committee will be Wednesday, September 12 at 6:30 pm, and we welcome those who would like to be a part of our expanding program. Articles for the November/December/January issue of the Wayfarer are due by October 20, 2018. Please forward articles to the church e-mail address at: churchoffice@stthomaschurch-berea.org. The Church-Growth Committee sponsors the Welcome Table in the church hallway near the Sanctuary, to welcome all visitors to St. Thomas. We do our best to staff the table after each worship service, to greet visitors and to share some gifts with them. We need your help! It involves getting to the table just before people come out from worship, and staying there for about 10-15 minutes to welcome new people. If you could do one or more Sundays, please sign up on the sheet on the office window. Thanks! We meet every Monday at 7:00 in the Church Office to study God’s Word and to join together in prayer and praise. We are currently studying II Corinthians. We invite you to join with us to pray for the world, our country, the Church, and our family and friends; and to learn from the Scriptures. If you have prayer requests or questions about the Prayer Group, please contact Clint Anderson at ahs64clint@gmail.com. Epis-ca-paws has been off the minds of the parish for some time. The need for dog & cat food, toys, beds, litter etc. is never ending. Those in need love their fur-ever family and need our help. Please remember at least once a month if possible, to bring in or donate a check for this ministry. One day in the scorching sun we arrived at Church Street Ministries early, their doors open for people at 11, we try to arrive an hour earlier. Jeff unloads the car for us and thanks us so very much they had missed our donations. 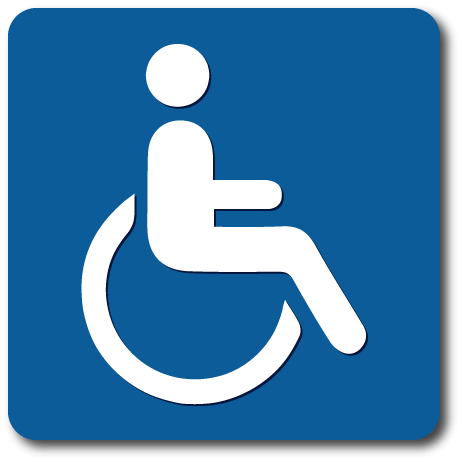 There was a gentleman waiting in a wheel chair for the doors to open. He asked if we had cat food. We did! Praise be. We gave him a 2 lbs bag and he was so thankful. I chatted with him awhile and prayed with him. His name is Tim and kitty’s name is Clem. Please pray for their needs, the Lord will know what they are! It’s amazing the wide varieties of thoughts and viewpoints we always get on questions such as these! If this sounds interesting to you, please come and give Socrates Café a try! We are an official member of a worldwide Socrates Café network of more than 600 groups. If you have any questions, please contact Clint Anderson at ahs64clint@gmail.com. Miss Dolly & Miss Rosalie would like to thank Y’all who helped make Miss Julia’s Southern Tea held on August 11th a success. Harkess Hall was transformed to a lovely garden party, although Ricky Nelson was not there to sing for us, we had Norman Tischler to play the sax and clarinet. Transforming our hall would not have been accomplished if not for Miss Etta, Miss Karen, Miss Becca, Miss Peggy Ryel, Miss Dolly and Miss Rosalie. Our Mimosa Bar was tended by Theo Kent and Miss Melanie Doyle. Our lemon glazed Scones were prepared by Miss Bev, Joe Ferline, Miss Laura Gaba and George Baxter. Mandarin salad & cran-lishious chicken salad sandwiches by Miss Karen Walter, Miss Becca Bretz & Miss Jan Bell. Ice cream was drizzled with carmel or chocolate by the hands of Miss Sue Griffith and Tea Cup Cookies baked by Miss Dolly. Our raffle had handmade wreaths by Miss Anita and Miss Sue. And last but, certainly not least, a huge shout-out of thanks to our servers: Emily Ferline, Dexter Shreve, Geri Hunt, Bella Brown, Dee Dee Doyle and Peggy Ryel. Our guests were donned in beautiful large hats and lovely dresses. The garden was vended with Miss Laura Newman sharing her talent of making hats. Miss Theresa Ferline-Carr with Tess’s Tender Touch hand painted flower pots, magnets and glasses, Miss Jenna Toth with her Sunken Glass Treasures and the Artful Sisters. All of which did a beautiful job of displaying their wares in the garden. Our raffle table was manned by Miss Rosalie, Miss Pozie and Miss Sue. The lovely centerpieces, made by Miss Dolly, were given to the lucky Miss having a flower on the back of her menu. This was our first summer tea and we will meet to see if we will continue. 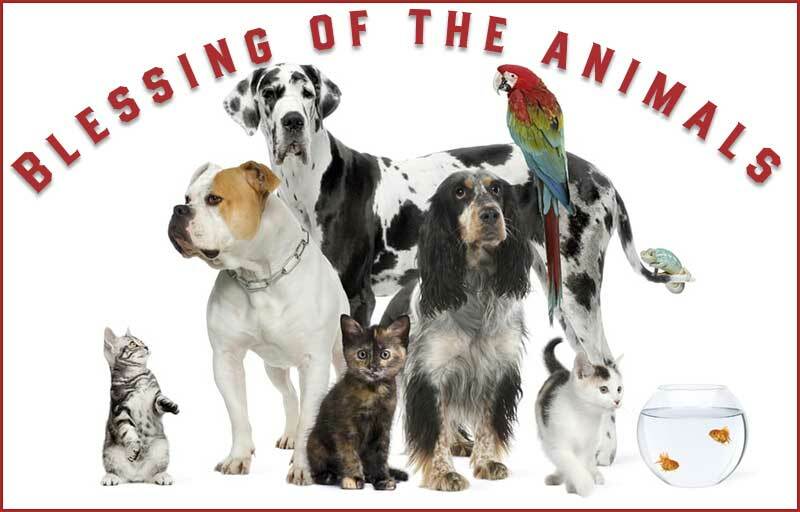 On Saturday, October 7, at 2:00 pm, Father Dave will again bless the animals on the side lawn of our parish. Bring your fur-ever pet and perhaps a donation for Epis-ca-paws. 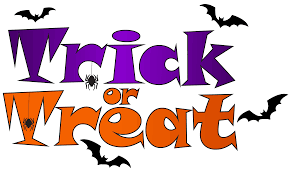 There will be cider and cookies and goodies for our four-legged friends. We will also pray for our beloved departed pets who have crossed the rainbow bridge. If you have said good bye to your beloved pet since last October, please sign the sheet on the office window. In the event there is rain, we gather in the hall. 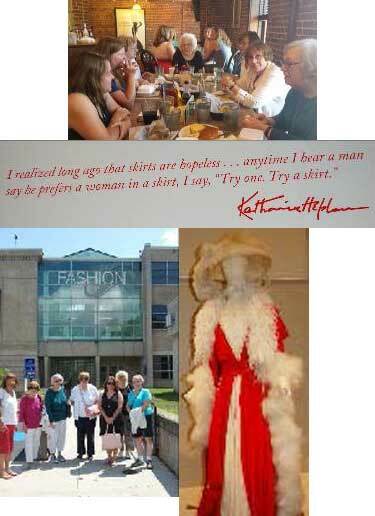 On August 4, ECW ladies visited the Kent State University Museum where we viewed the impressive costumes worn by Katharine Hepburn on stage and screen. We then enjoyed lunch at Ray’s Place, recommended by museum staff for a true *university experience!” The food was good, and the trip was fun. ext outing. We welcome suggestions and participation from all ladies of St. Thomas Church. With extreme heat, lack of air conditioning and a cancelled parade, we persevered. We had a great group get together for a great meal. Thank you all. See ya next year! This year our trip to Kentucky was a bit different than it has been before. We were able to attend the court hearing against the school board to see whether the school was able to continue on or if they had to close. Thankfully God was on our side and Cordia was able to remain open for the school year. It was a stressful week for the people of Lotts Creek, especially Alice. We have never met anyone as bold, brave, or determined as Alice. She is a true hero and role model. The people of the holler are lucky and fortunate to be able to witness Alice and her might. This year at Lotts creek was an even more rewarding experience than last year. Going to court and supporting the school, and their director Alice was an amazing experience that I was proud to be a part of. In addition, I spent multiple days cleaning out a room of donations for the school and organizing so that the donated items can be accessed and found easier. I helped clean and dust an old cabin, and spent time gardening as well. Helping out the school and community was extremely rewarding and I can’t wait to go back again next year. 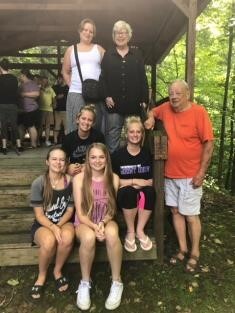 This year’s trip to Lotts Creek was a different experience for everyone. We went down there unsure if the school would be open this year. We got there and Alice told us all the troubles they have been having with the county board of education and that there was a court date Wednesday. We worked on cleaning dorms, pantries, gardening, and doing whatever Alice asked us to do. Then on Wednesday we woke up at the break of dawn and went to the capital of Kentucky to a sit-in during the trial. The judge later decided to keep the school open for this school year and hopefully Alice will be able to make her own board of education. We had an amazing and different experience this year. Thank you for giving us the chance to do this continuously each year. Please join us for an informal get-together, and a light lunch. We’d like to get to know area veterans better and express our thanks to you for your service to our country. No obligation or commitment is required. Our goal is just to meet with local veterans for friendship, connection and conversation. We typically have a gathering on the last Friday of each month.